Pitching Velocity Development is an article from Tread Athletics and the original can be found here. As our regular readers know, Baseball Brains is plural and we love to highlight material and people that we think are doing an excellent job moving the art of coaching baseball forward. Both the large pectoral and lat muscles play a huge role in the arm acceleration phase of the pitching motion (1). A study on high-level pitchers showed that EMG activity of the throwing arm pec during ball acceleration reached 54% of MVC (maximum voluntary contraction), while activity of the lat reached 88% of MVC. The latissimus dorsi and pectoralis major are highly active during the arm acceleration phase. As such, training these muscles for force production is wise. Besides these primary movers, the subscapularis also demonstrated high activity during this acceleration phase, playing a role in dynamic stabilization of the shoulder by acting to maintain the ball-in-socket positioning of the humerus in the glenoid. For the sake of this article, we won’t worry about this rotator cuff muscle. Gabe trains lats. Gabe throws 98. Be like Gabe (minus the cupping therapy bruises). Most of you already knew that, which is why you train rows, presses and other upper body movements that involve these muscles. While the pecs and lats receive stimulation in traditional compound exercises like push-ups, bench press, dumbbell rows and pull-ups, these exercises generally fail to fully stimulate these muscle fibers. The first muscle group to fail in the majority of pressing movements is the triceps brachii, NOT the pecs (do a set of push-ups to failure if you’re not convinced – this is why bodybuilders do partial range of motion bench presses to emphasize the pecs). Furthermore, the first muscle group to fail in the majority of rowing movements is the biceps brachii, leaving under-stimulated and under-fatigued lat muscle fibers. 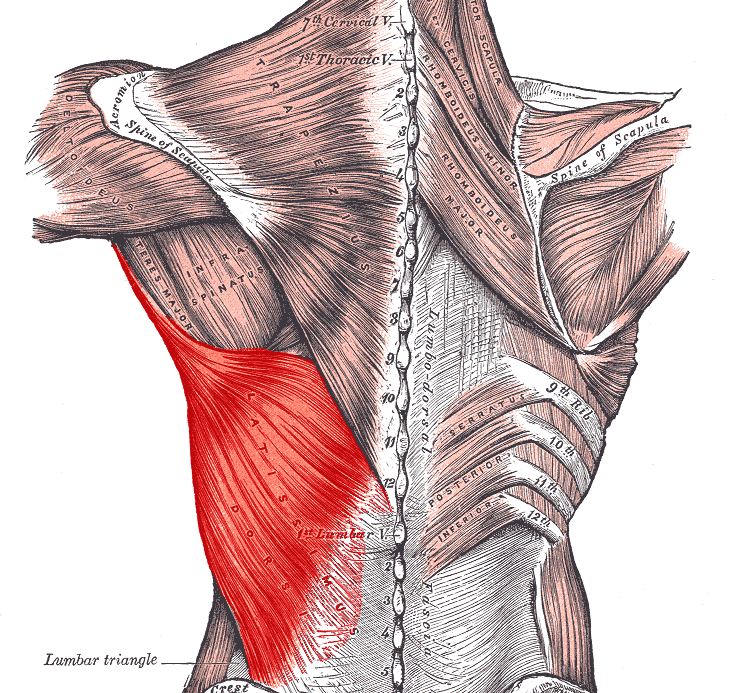 The latissimus dorsi and pectoralis major are not fully stimulated during most compound upper body movements. This leaves the door open for targeted isolation training. Instead of going over to the dumbbell rack to add in extra bicep and tricep work (after you have just crushed these muscles with rowing and pressing variations), a better option would be to perform post-exhaustion training techniques for the pecs and lats. Post-exhaustion refers to a training technique that involves further stimulating a muscle group using a single-joint exercise, following partial stimulation of that same muscle group using a multi-joint, compound exercise. As you can see, post-exhaustion training takes a compound exercise and pairs it with a complementary isolation exercise. Rowing movements are paired with lat isolation exercises, and pressing movements are paired with pec isolation exercises. It’s worth noting that post-exhaustion training is not the only effective way to incorporate these isolation exercises into your programs – some athletes and coaches prefer to add them in at the end of the workout as opposed to supersetting them so as not to take away from the weight that can be used on the main compound movement of the day. Won’t my chest and lats get too big (and lose flexibility)? Years of improper training (e.g. partial range of motion) while neglecting soft tissue quality can lead to problematic tissue restrictions. This is why tissue work (foam rolling, lax ball work, manual therapy techniques, etc.) is so crucial for maintaining adequate range of motion and function. I’ve seen pitchers who were unable to straighten their elbow past 110 degrees regain full range of motion following 1 month of daily manual therapy. For more minor restrictions, significant progress can be made within a couple weeks. The bottom line is this – training your muscles to be strong isn’t synonymous with losing range of motion. In fact, by both training through full ranges of motion and addressing individual tissue restrictions, our athletes are able to improve upon both metrics simultaneously. Here’s a sample day of offseason training that incorporates post-exhaustion training for the pecs and lats. Finish with shoulder pre-hab/accessory work + static stretching if needed. Incorporating lat and pec isolation work is a subtle change, but one that will kickstart growth in these under-stimulated and critical muscles. By adding mass and strength, while staying on top of your soft tissue quality, you will set yourself up to maximize their contribution to your throwing velocity. Follow Ben and Tread Athletics on Twitter!